This book contains Dragos Takes a Holiday, Pia Saves the Day, and Peanut Goes to School. 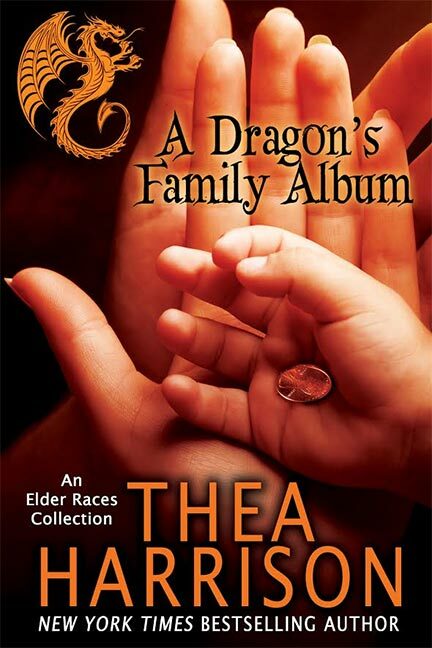 This book contains Dragos Takes a Holiday, Pia Saves the Day, and Peanut Goes to School (two novellas and a short story in the Elder Races series, previously published separately). All three stories focus on the Cuelebres, the First Family of the Wyr. Pia Saves the Day: The Cuelebres have moved to upstate New York where they finally have the space to indulge their Wyr side, and Liam can grow in safety. Their idyllic situation is shattered when Dragos is injured and stripped of his memory. Without Pia’s taming influence, there’s nothing holding back Dragos’s darkest side. Peanut Goes to School: Dragos Cuelebre is no longer the only dragon. At just six months of age, Liam has already grown to the size of a large five-year-old boy. In an effort to give him a taste of normality, his parents enroll him in first grade. But school has a surprising number of pitfalls, and Liam is fast becoming one of the most dangerous creatures in all of the Elder Races.